GO has secured the exclusive rights to broadcast Moto GP, Moto 2, Moto 3 for the 2018 season. In addition, it has also secured the exclusive rights to F2 and GP3, which in addition to the rights GO has renewed for Formula One, will provide motor sports enthusiasts with a year of excitement and entertainment. 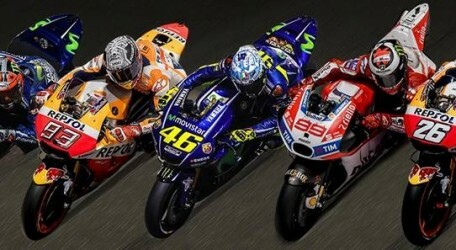 All Formula One, Moto GP, Moto 2 and Moto 3 qualifying sessions and races will be shown live on GO Sports 1, starting from this weekend. Additionally, free practice and warm up of Moto GP, as well as warm ups of Moto 2 and Moto 3, and F2 and GP3 races will also be shown live on GO Sports 1. For this coming weekend, GO Sports 1 will also be available to all GO TV subscribers for free, giving all motorsports fans who are GO customers the opportunity to enjoy this opening weekend of racing for the 2018 season. Existing GO TV subscribers who do not currently have a sports package but who wish to upgrade in order to be able to enjoy the full season of live motorsport can do so for an additional €7.99 per month.